I hope everyone had a wonderful Christmas. Book sales on my Coulson Series have been strong this past month. 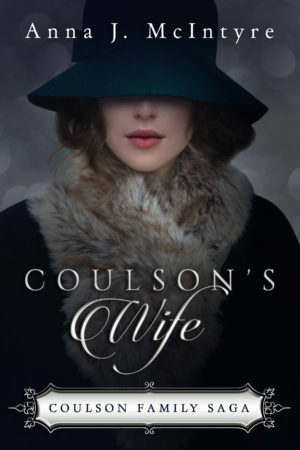 Yet, what makes me especially happy, are the positive reviews I’ve been receiving on the first book in the series – Coulson’s Wife. While going through the reviews when preparing for this post, I found a most snarky and offensive comment left by someone the day before Christmas Eve, who doesn’t claim to have read the book – didn’t leave her own review – but questions the legitimacy of the other reviews. The person wrote: “Practically all these reviews read the same. No information about the book at all. Can we say “purchased reviews” anyone? Ummm…no we can’t say that. I have never EVER, in my entire writing career purchased any review. I have asked for honest reviews before, on a Goodread’s group that hooks writers up with reviewers in exchange for a free email file. 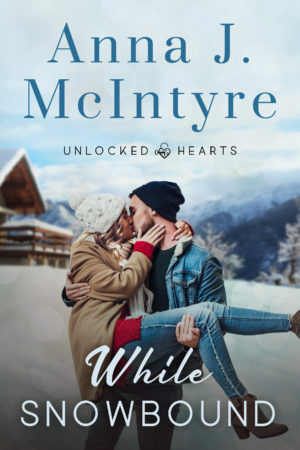 But that was only on While Snowbound – not Coulson’s Wife – and I limited it to ten readers – and not all of those left a review, which is not uncommon. But like I said, I never asked for Coulson’s Wife reviews on Goodreads – nor have I ever paid for any reviews. Plus, I don’t believe in review swaps. If I read a friend’s book and don’t like it – I won’t leave a review. If I like the book, I will leave an honest review. But I would never engage in the practice of review swaps, it doesn’t feel right to me. When I do like a book written by a friend, I want to be able to write a good review, without others doubting my sincerity. If more than one reader said the same thing about Coulson’s Wife, it was probably because the readers shared the same impression about the story. Accusing an author of unethical conduct – simply because readers expressed similar sentiments in their reviews, is in itself unethical – in my opinion. 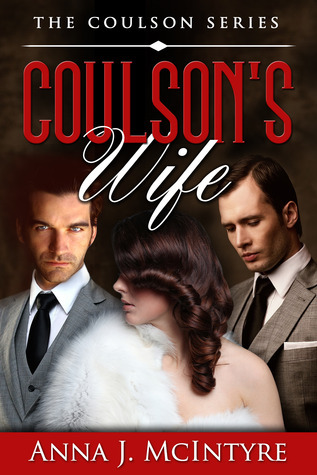 So what did some reviewers say about Coulson’s Wife? While I find the person’s snarky comment a personal insult – I still feel great about the reviews. It tells me my story has resonated with those readers. EDIT: I feel it necessary to amend my post. When I first read the comment accusing me of buying reviews, I assumed the person was questioning all the reviews on Coulson’s Wife – yet I may have misunderstood and that comment may have been directed at just one reviewer – the reviewer where the comment was left. 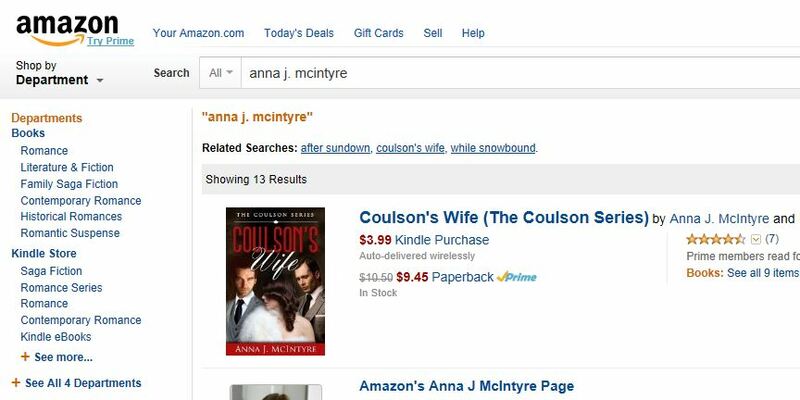 After taking a closer look, I see that reviewer has only three reviews – all on Coulson books, and none are verified purchases, meaning the books were not purchased at Amazon, at least not through the account leaving the review. Of course, that doesn’t mean the reviewer didn’t read the books – they were available (until recently) at Smashwords and Barnes and Noble. Since I’ve sold books at both venues, it is always possible one of those readers left the reviews. First, I’d like to say, I have absolutely no idea who the reviewer is. I understand questioning the validity of the reviews, but I honestly did not pay or ask someone to write fake five star reviews. While it is possible some well meaning, yet misguided friend left the reviews, I rather hope that is not the case. I’d prefer to believe it is someone who read the books, and was so taken by them that she decided to write her first book reviews on Amazon. For marketing and promotional purposes, my eBooks are exclusive on Amazon. 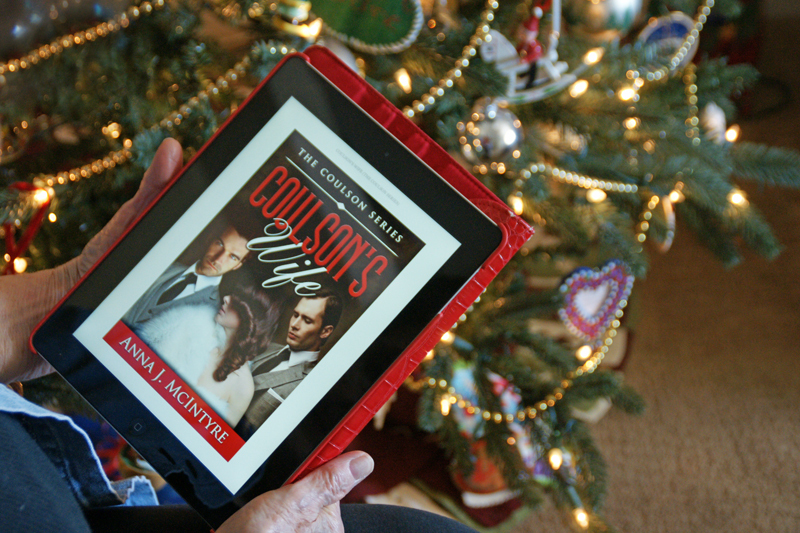 They used to be on the other vendors – such as Barnes & Noble, iTunes, Kobo and Smashwords. They’ll be back there in the future, but for now, you’ll only find them on Amazon. For those of you who have Amazon Prime, this allows you to borrow any of my books. 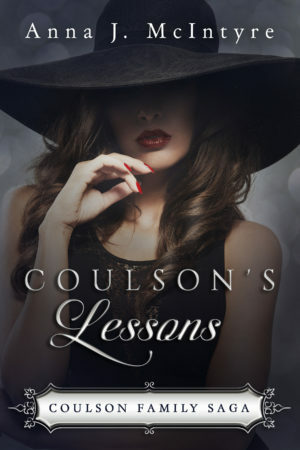 It’s sometimes a little confusion to some of my readers – those who read Lessons when it was first published two years ago, only to discover Lessons is now titled Coulson’s Lessons – and that instead of being number one in the Coulson Series, it is now number three. How did that happen? I am so confused! Well, actually, I’m not confused – but I may have confused a few of my readers. I first wrote Lessons, an adult love story – and then The Senator’s Secret, which is more mystery than love story. Readers first met most of The Senator’s Secret characters in Lessons. I then decided I wanted to go back in time, and write about the people from Lessons, when they were children – to show how they first met and formed their relationships. I wanted to give readers more insight into their history. When I started writing, I found myself jumping back one generation – to first tell the story of the grandfather that started the empire and founded Coulson. But the story ended up being more about his wife, in Coulson’s Wife. 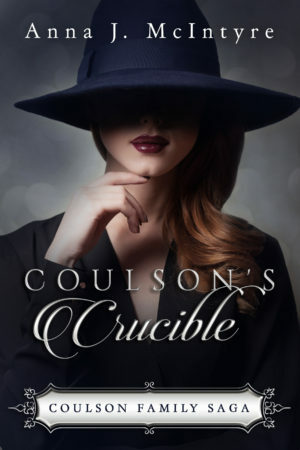 After Coulson’s Wife, I wrote Coulson’s Crucible, which introduced many of the characters from Lessons. For some it might have been a character overload. 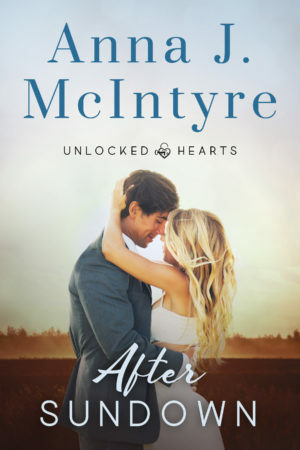 I’m just hoping the story of Garret’s parent pulls the reader successfully through the book without too much confusion. After Coulson’s Wife and Coulson’s Crucible, it was decided to rebrand the series – and rename the first two books written. Lessons became Coulson’s Lessons and The Senator’s Secret became Coulson’s Secret. As I’ve mentioned before, there will be at least one more book in the series – Coulson’s Reckoning, which will tie together loose ends woven throughout the books. Yet, for those who despise having to read all books in a series to get a complete story, I promise you can read any of the first four books, without having to read any of other books from the series. One of the most common complaints I hear from reviewers – on other author’s books – those that have been given away for free in some promotion – are the cliffhangers. 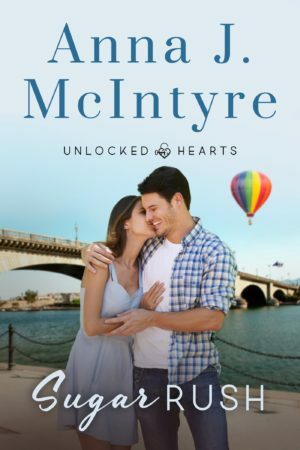 Typically the first in the series, these books leave the readers without a clear conclusion and forces them (if the promotion works out as the publisher hopes) to buy the next book in the series. 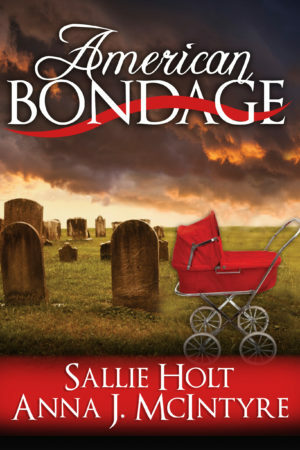 Reviewers have never slammed me for this, because each of my books is a standalone story. 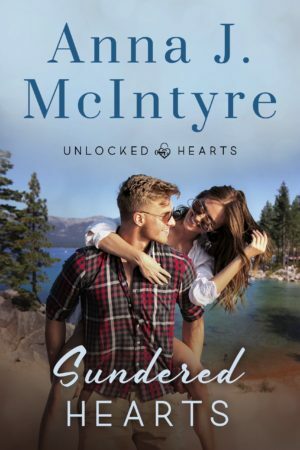 That is fairly obvious in my Sensual Romance Series – where the only thing “series” about this collection is the shared expectation. These are simple romances, with guaranteed happy endings. 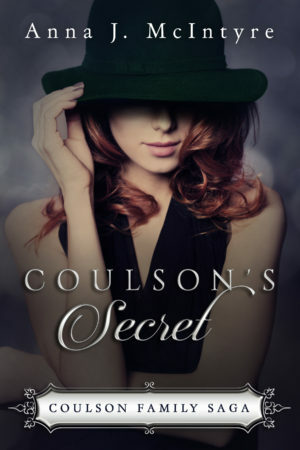 The Sensual Romance Series is very different from The Coulson Series. In The Coulson Series there is love, heartbreak, mystery and murder. It is never clear which lovers are destined to be together. While many of the same characters appear in each book, it is possible to enjoy just one of the books without reading the one that came before – or after. 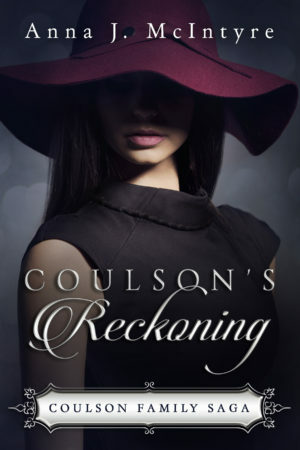 In spite of that – there is a thread of unresolved issues and conflicts woven throughout The Coulson Series that will collide in the final (I think it will be the final book) book – Coulson’s Reckoning, coming in 2014.